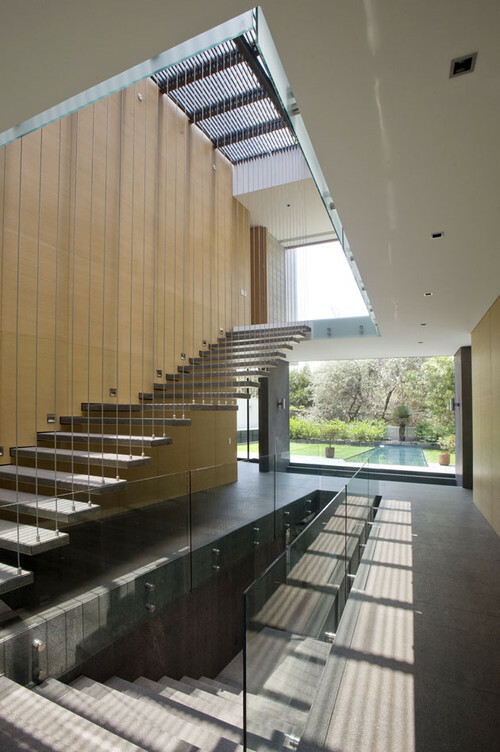 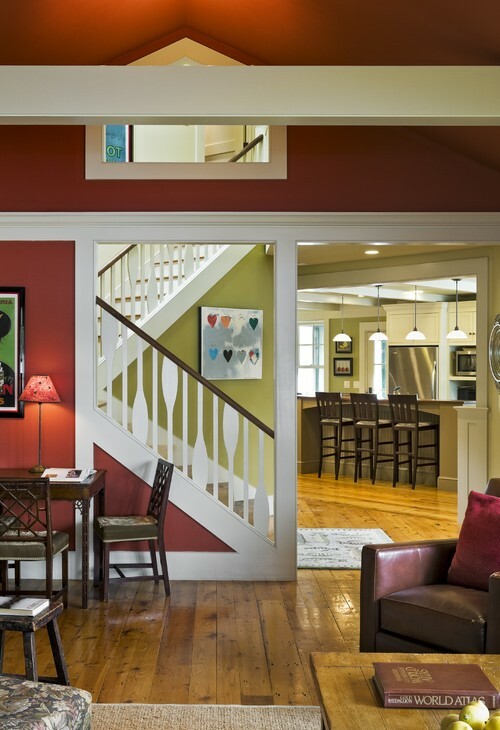 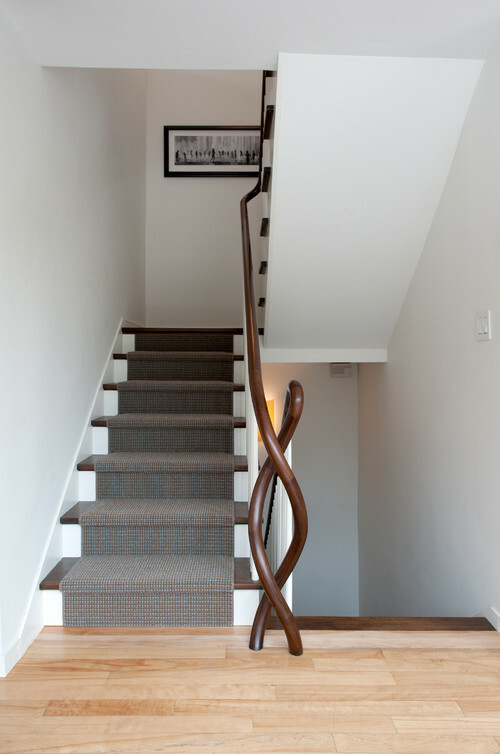 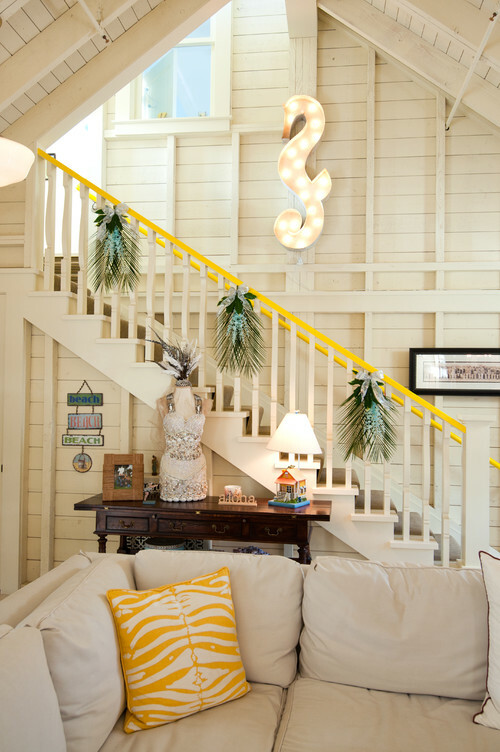 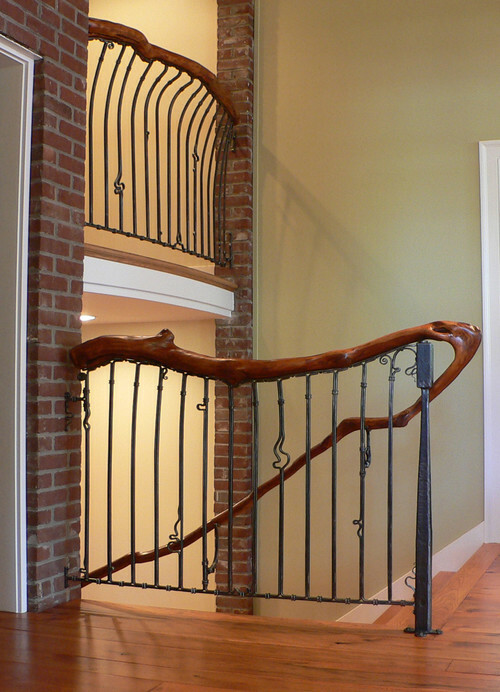 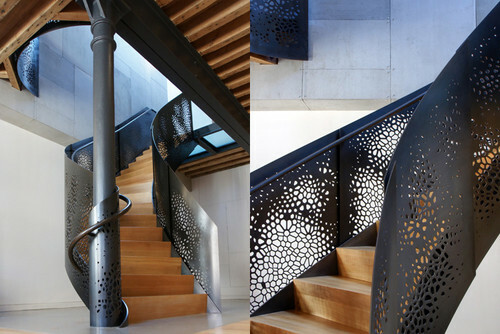 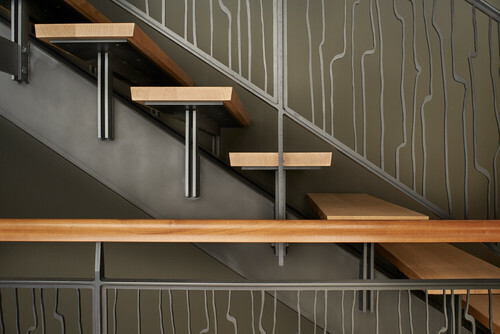 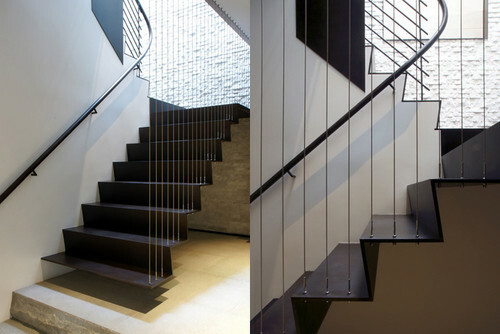 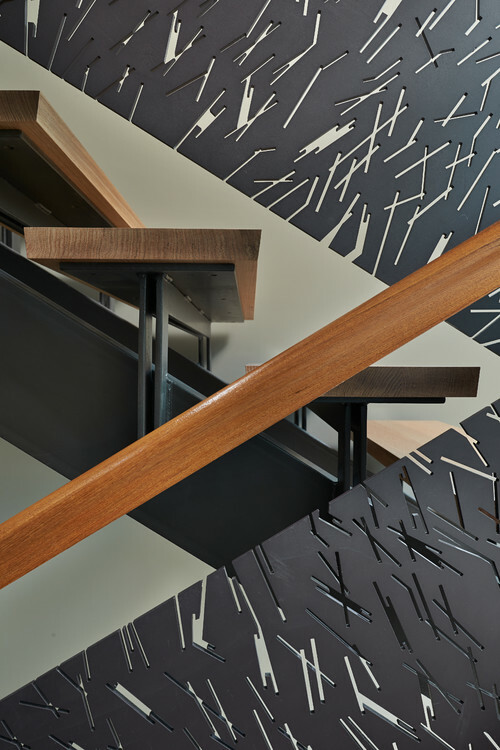 With open-plan homes being oh-so-popular today, there’s no reason your stairs should be closed in. 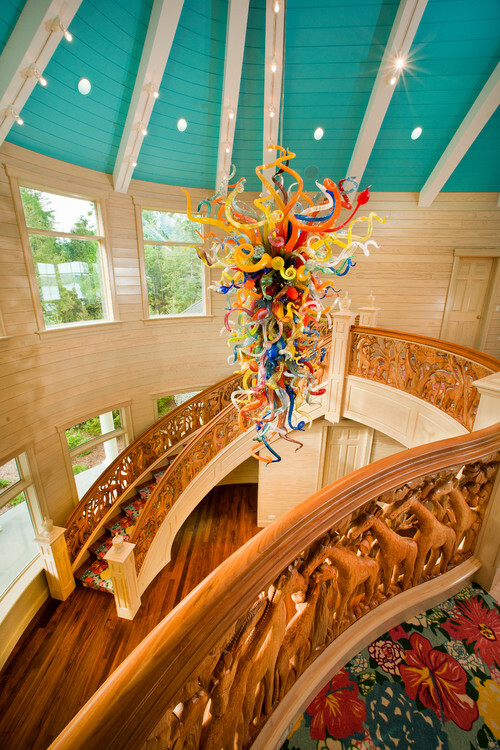 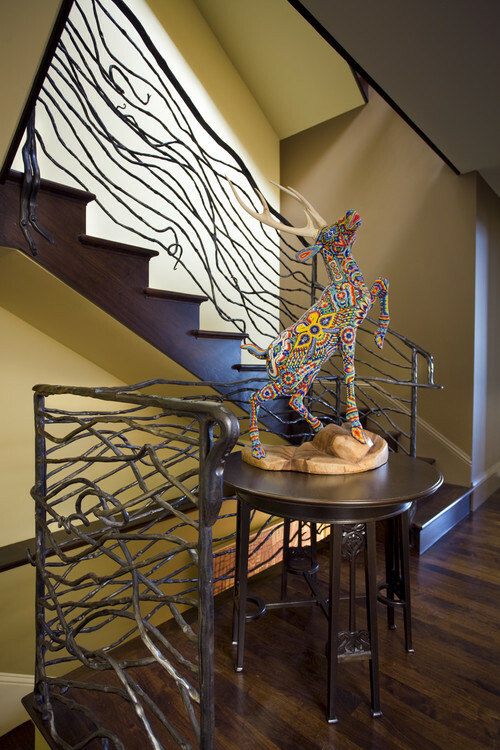 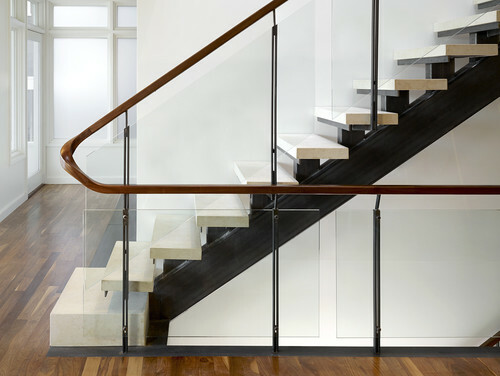 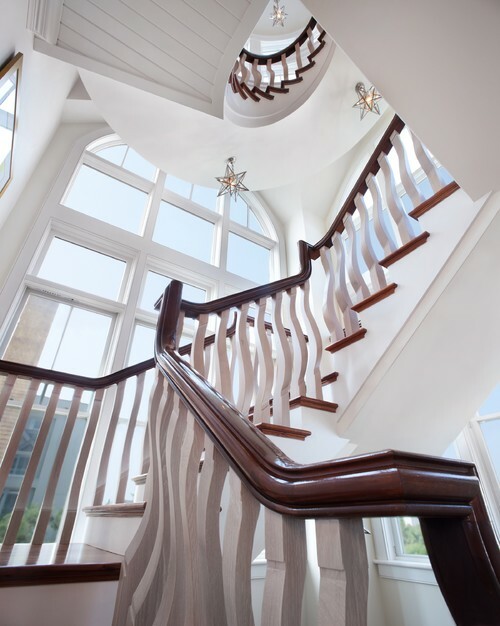 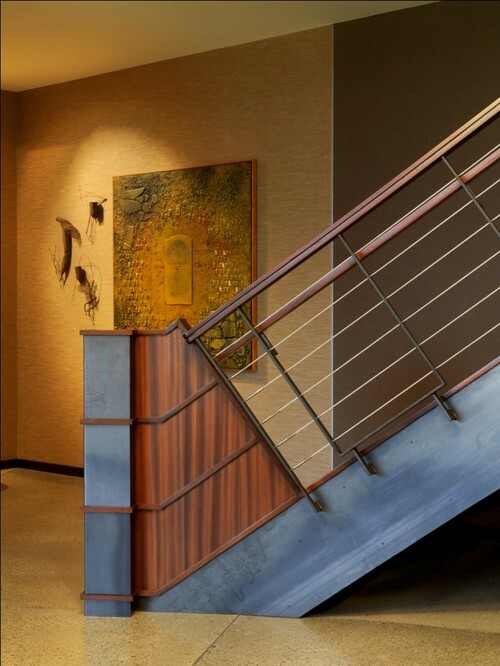 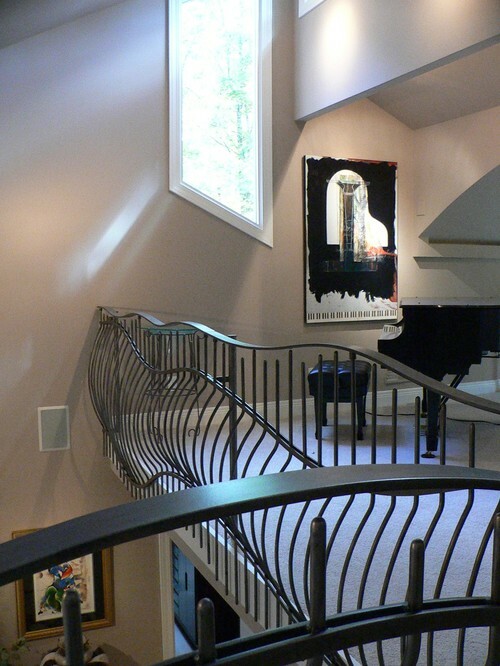 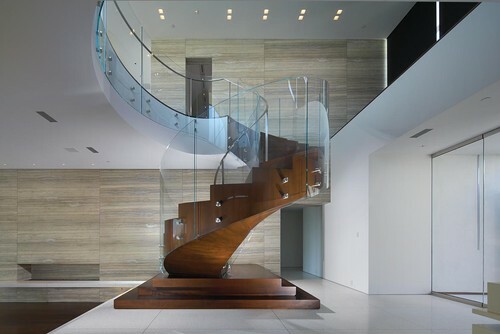 Try a see-through banister made of tempered glass, plexiglas, or acrylic in solid pieces or clear balusters. 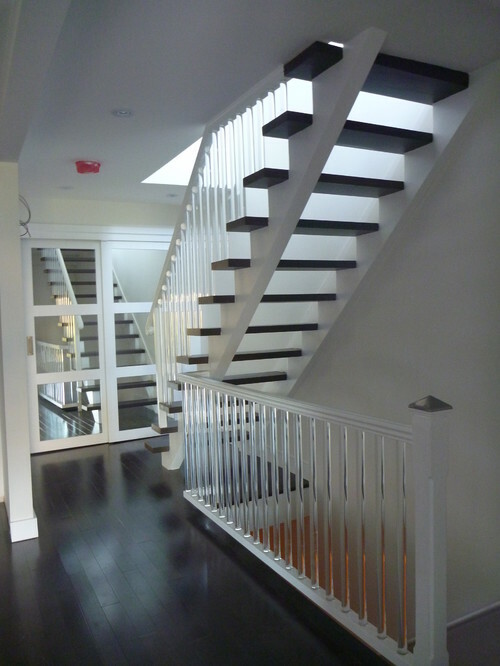 It’s open and airy, but be warned: it’ll show every fingerprint and smudge.